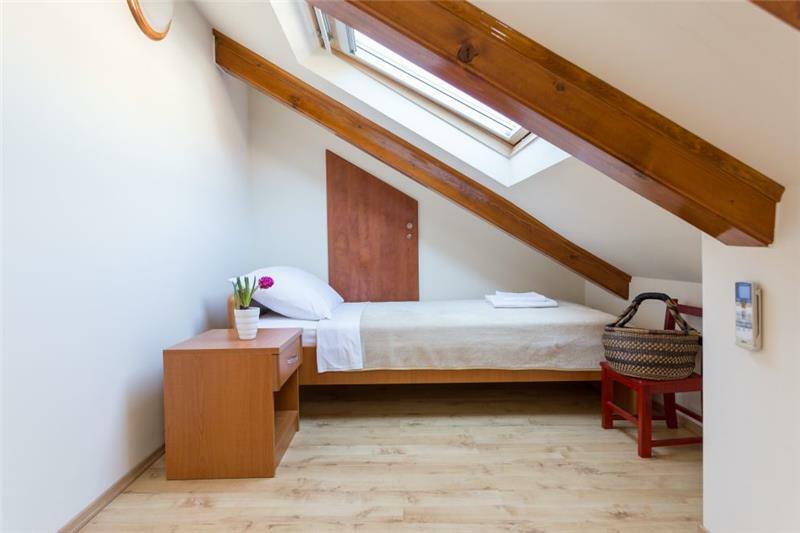 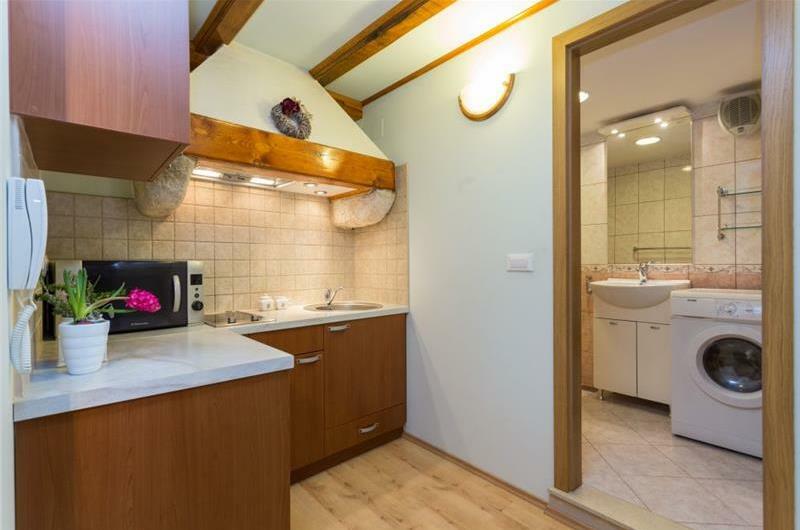 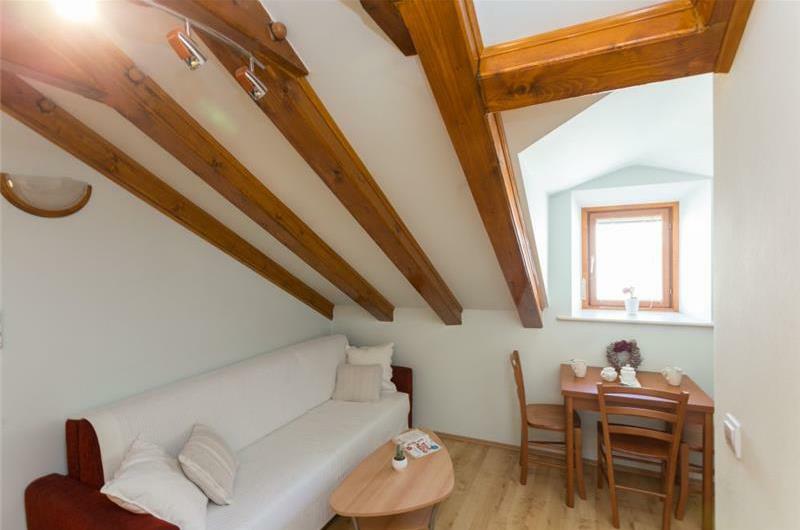 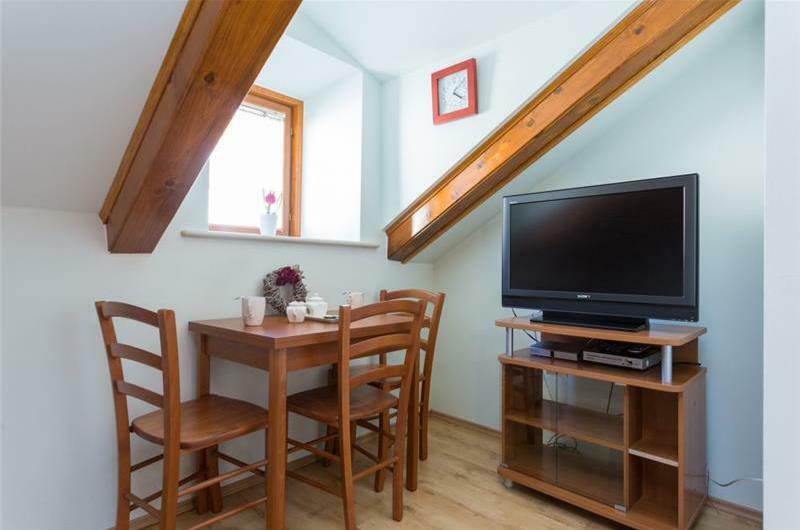 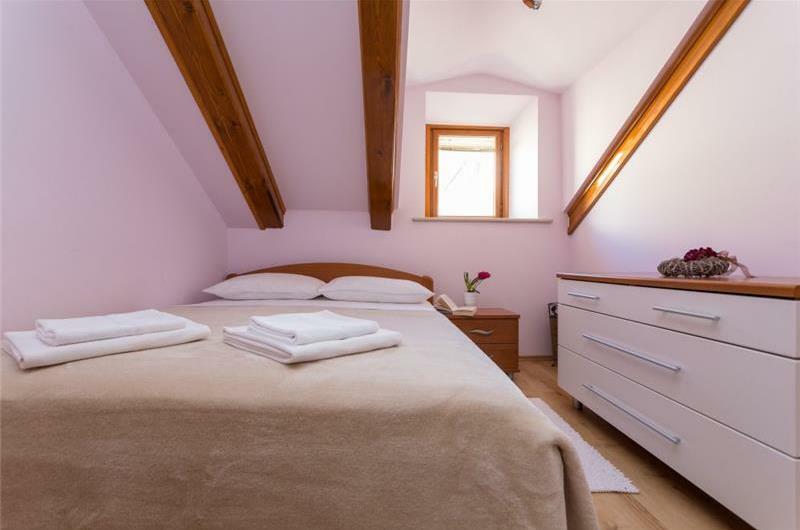 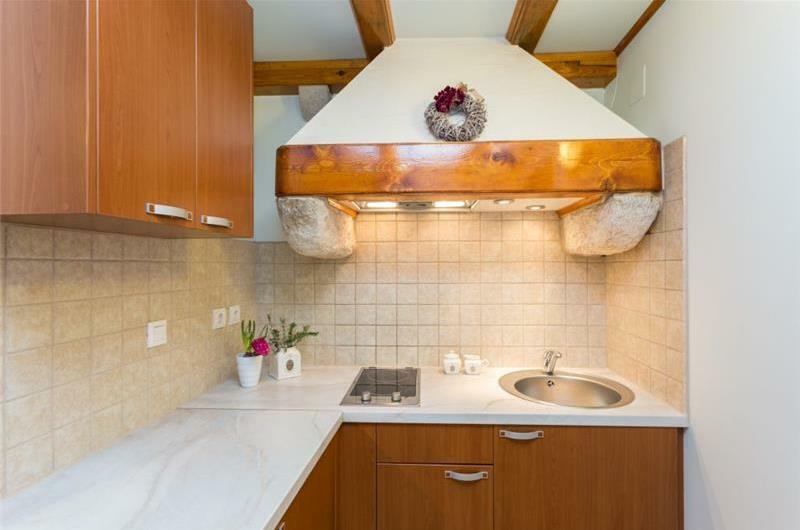 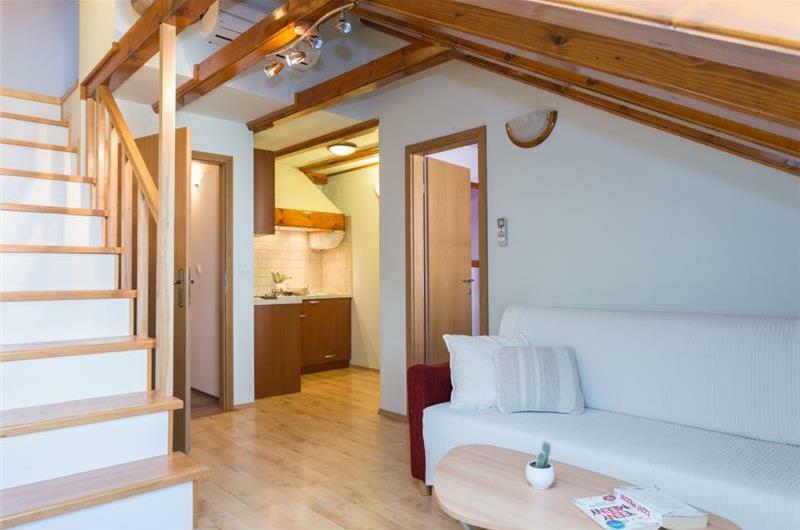 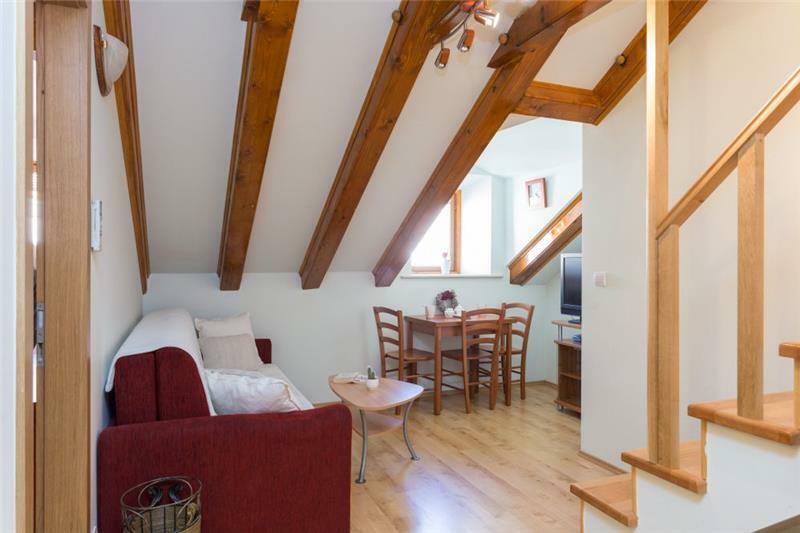 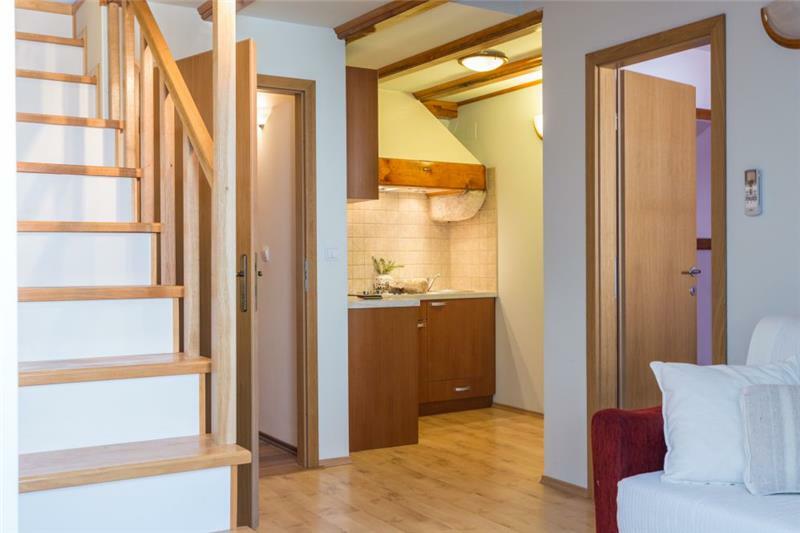 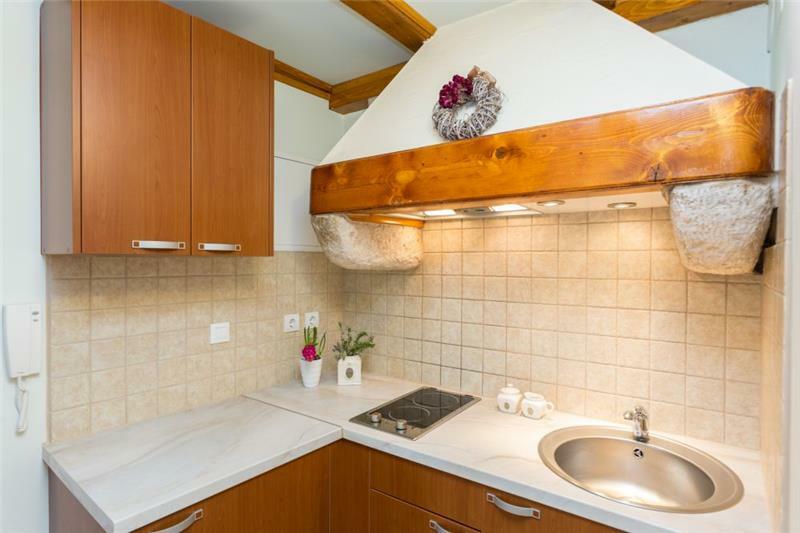 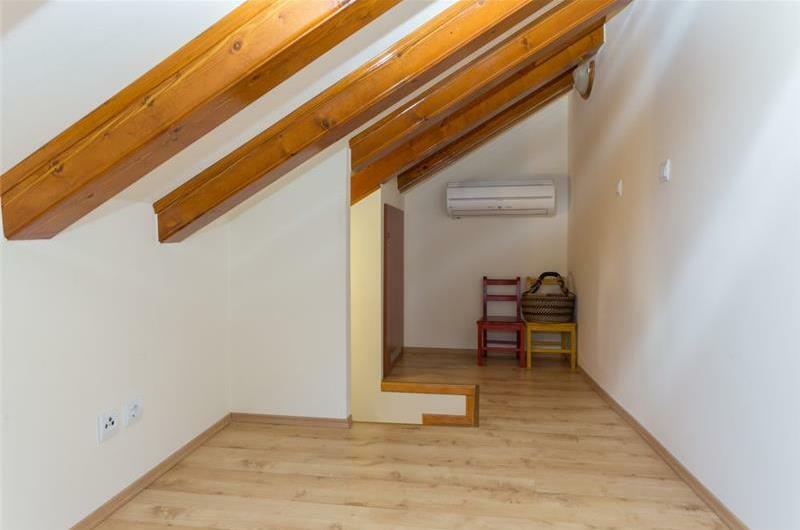 This 1 bedroom apartment (Eaves) is situated inside Dubrovnik’s city walls. 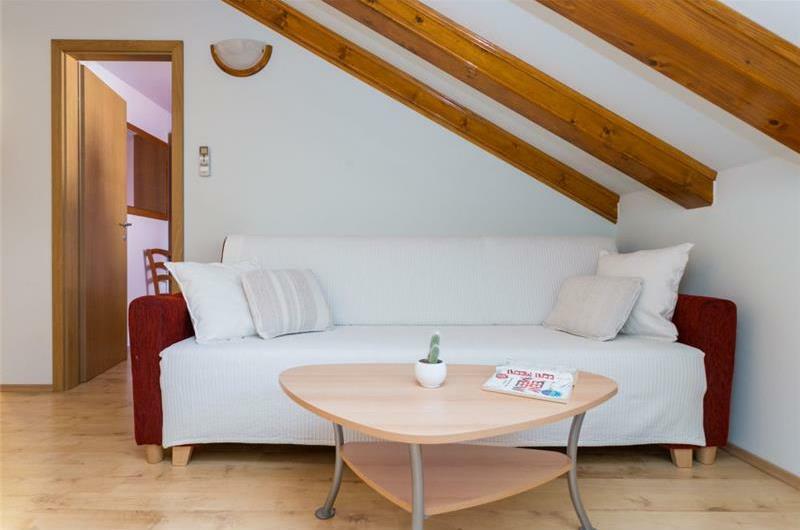 It would suit a couple, friends or a small family looking to stay in the heart of Dubrovnik’s old town. The apartment consists of an open plan kitchen/lounge area, a double bedroom and a shower room. 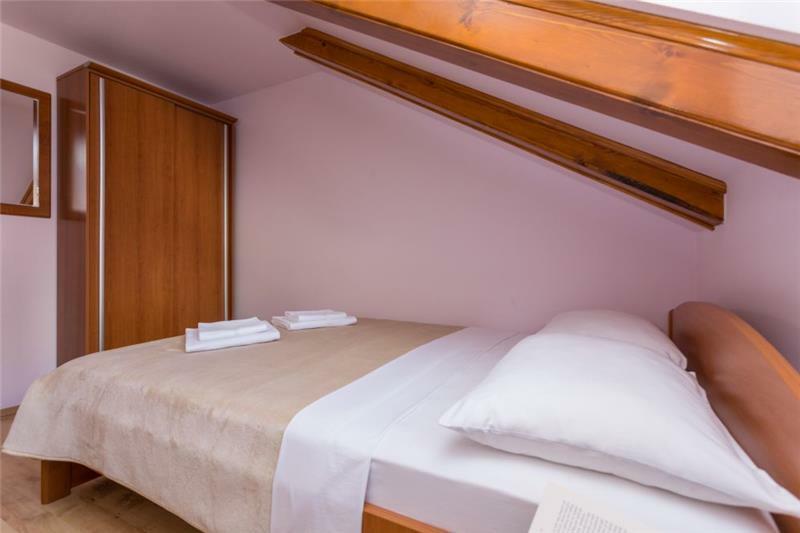 There is a single bed on the gallery mezzanine level (Eaves). Guests can access the apartment via 45 steps to the 3rd floor. 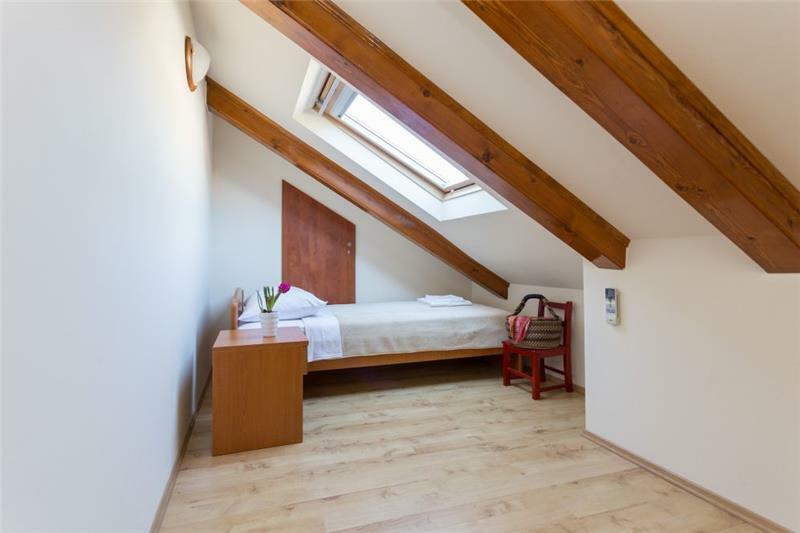 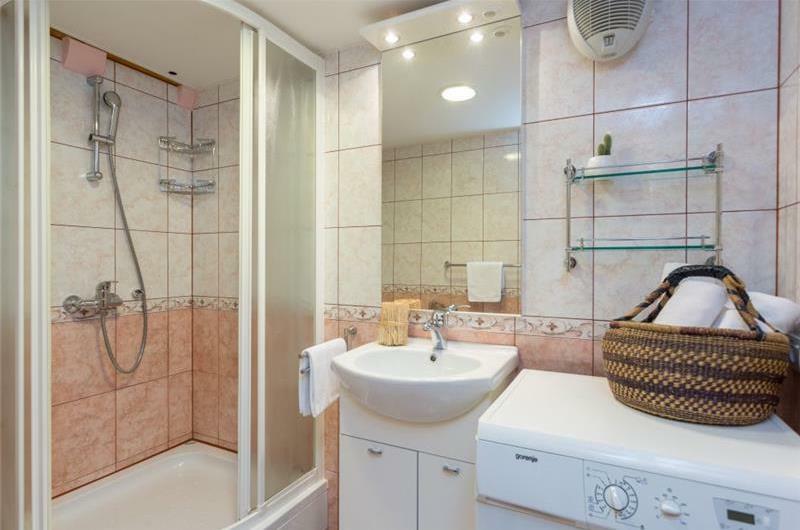 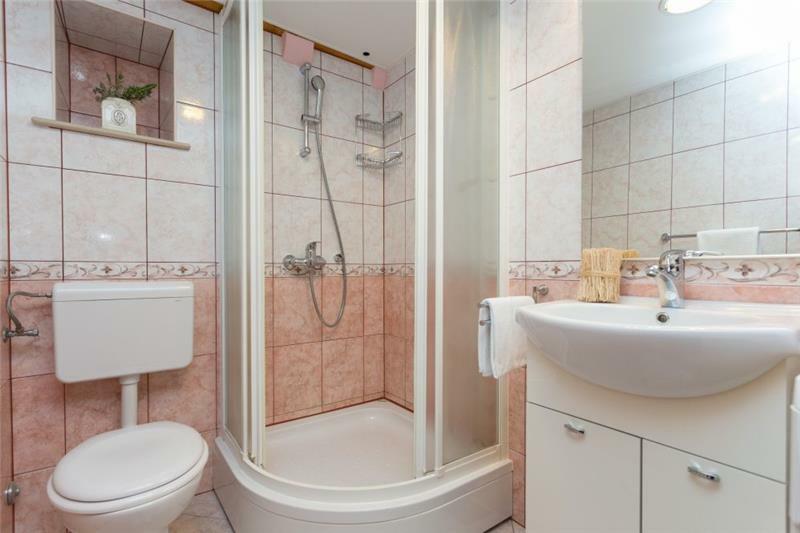 For larger families looking to holiday together, this apartment can be booked with the following studio apartment located on the same floor in the same building (DU213). This can sleep a further 4 people, subject to availability. 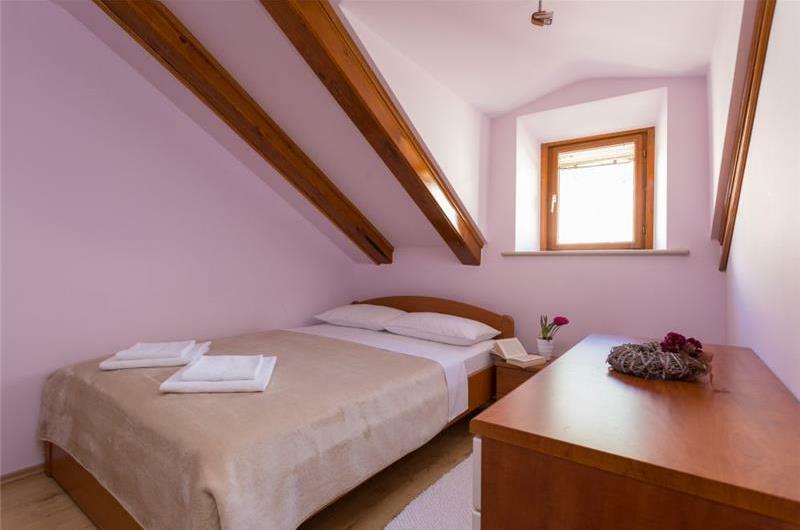 The Dubrovnik region offers several beaches and the popular Banje Beach is a 10-minute walk away. 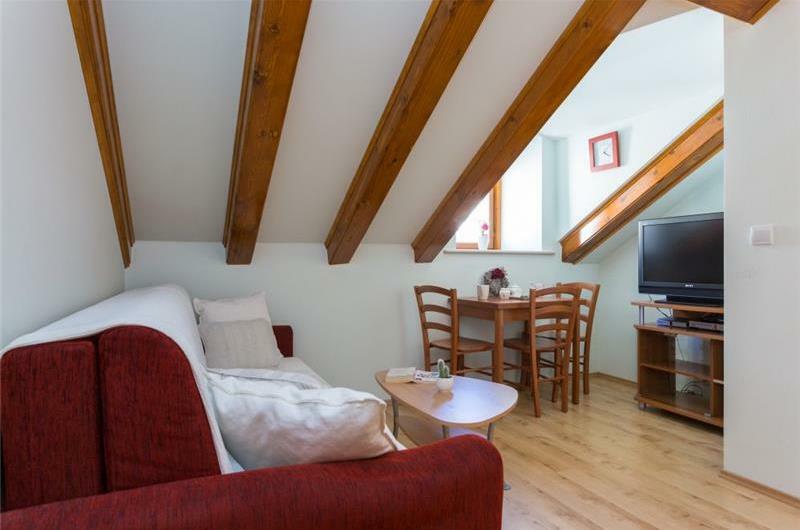 The old town provides guests with a selection of shops and restaurants and also has a good nightlife. 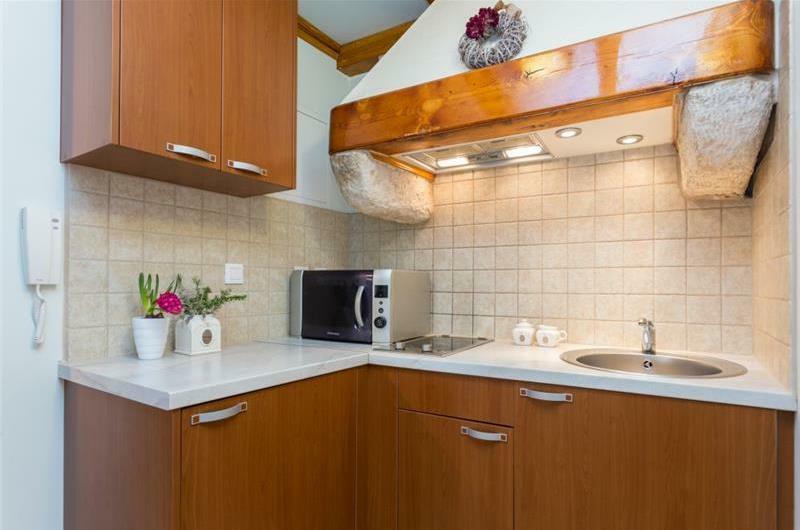 Lokrum Island makes for a great day out; offering a couple of restaurants, tropical vegetation and rock pools.